I was wondering how you feel about retiring during a recession? It’s great that you took that leap! But… how do you feel about the future? … How do you feel about retiring when the future is so uncertain? Sooner or later the US (sorry for being US-centric, but this is where I live) will have to own up to the fact that it’s domestic energy production peaked 40 years ago. At the time a choice was made between scaling back and changing the focus from being a productive manufacturing country, in short an inherently wealthy country, to becoming the banker, landlord, and enforcer of the world in order to gain access to foreign resources. This was and is the main drive of globalization. In a few years or perhaps already, the planetary energy production will peak and decline. This means that the US business model of being the landlord and offering protective services (there’s a word for this by the way) in exchange for money will stop working. Now may be that time and this may be the reason why the economy is sputtering. There will be a return to the local. Globalization will revert. What has been outsourced (manufacturing) will revert but since less energy will flow through the system, it will be less leveraged and the difference between the haves and the have-nots will be smaller. Political rhetoric will shift to the left as it always does during economic downtowns. Real wealth will not be measured by what you have in the bank. It will be measured by what kind of skills you have, whether your house is easy to keep warm or cold, whether you can use and repair the tools (think broadly, house, transportation, clothes, …) you have, whether you have a garden. People will have to rely on their own skills to a greater extent and will not be as easily able to just drive out and purchase their way out of their challenges because there will no longer be any or much income from policing and being the world’s banker, and thus no one willing to sell us cheap fashionable crap with planned obsolescence. In that sense I think I am quite ideally positioned. I would be more worried if my livelihood depended on a specialized job. There are two problems with that. Most people these days have very few useful skills outside of their job. It would behoove most of us to take a good look at what skills we actually have. Ask yourself, can you do anything (at all) that your neighbor would be willing to pay for? Can you brew beer (that one is always good)? Grow tomatoes? Resole shoes? Fix things? Create useful everyday things? Stay healthy without pharmaceuticals? Can you carry heavy things? Those things are useful. On the other hand, business marketing skills, lab tech skills, or excel skills are probably not that useful in comparison. The second problem is that thanks to spending most of one’s waking time either working one of those jobs that are useless for everything but making money, and spending the rest of one’s time watching TV and eating out, and solving most of one’s problems by hiring a certified expert one needs a fairly large income to support this level of expenses. A retirement, not from productivity but from employment, where you learn many skills and combine them in clever ways to live quite well on very little … I think that will be the norm for many people going forward. In that sense then, I think I am quite well prepared as is anyone who is resourceful enough to retire early. Of course we should also consider the possibility of a future cornucopia filled with electrical cars, fusion power, water purification plants, and genetically modified plants. In that sense, I have a portfolio of financial assets that will do well. This will turn my other activities into interesting hobbies instead which is fine too. In that sense, ERE is fully diversified hich always helps a little against uncertainty at least insofar that the correlation between the two is zero. 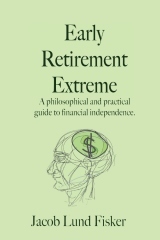 6 users responded in " The future of extreme early retirement "
I love this post. What investments do you have that will be well positioned for this future? I agree with your take. Being 2 generations older than you, I knew the generations that lived the life you see coming. At a young age I was exposed to life without running water, air conditioning, ice boxes, electricity, TV, etc. I value this exposure and feel that a good life is possible, even when consuming much less energy than we think. Check out this link. It is timely & in sync with your view. Great post, Jacob. Gives me lots of food for thought. I like how your approach is functional, focusing on the self-sustaining, tangible methods one can emply for survival. In the face of unknowns i.e. the future, all one can do is plan smart and be satisfied that you tried to provide for every contingency. @Eric – It depends on which future you’re talking about. Two companies I like that I think are well-positioned for world with declining primary energy sources are General Electric and Walgreens.